It's probably no secret that in two weeks, we'll be sewing with red and pinks for a certain romantic holiday. While I like to keep upcoming themes under wraps, I figured it would make sense to make this week's giveaway a tie-in to St. Valentine's day in order to give the winner some extra time to sew. Up for grabs is three yards of this semi-sheer pink, red and white rose fabric with a 45" selvedge. I don't think the photos do it justice, but here you go. This giveaway is open to Sewing Circle members. In this thread, post a picture of the pattern(s) you would use this fabric with and you'll be entered! The winner will be randomly chosen from that thread. Please, only post one reply (though you can post multiple patterns in that reply). Keep in mind that you have 3 yards at 45" to work with! The deadline to enter is Friday, February 4th - 11:59pm Pacific time. At that point, the thread will be closed and the winner will be announced on Monday. I'm obviously not entering this contest, but this is what I think I would use the fabric for, probably view E. Empire Sorcery indeed! I'm thinking this fabric would make a fab version of the blouse in shortsleeves. Oops...I didn't mean for the pic to be so giant. I just bought this vintage pattern from Ebay and this fabric would be perfect. Oh wow what a fantastic prize! I would make this dress below. I won it on ebay the other day and I'm still waiting on it to arrive. It would be perfect for this fabric I think! I think it's super cute! I would make View B. Sorry the picture is so big! It was this one or a tiny little! I'd make this dress with a lining and I'd add some pink fabric flowers near the collar. 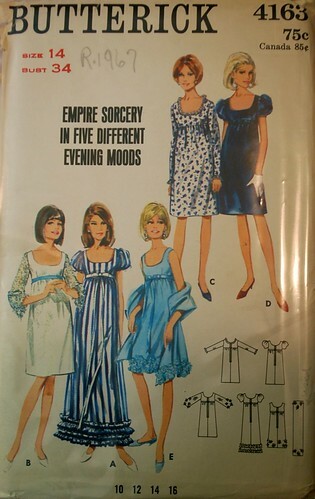 I think I would make the dress on the far right hand side of the picture - something soft and pretty to suit the fabric. I love the fabric, perfect for Valentine's Day! I have been wanting to make this pattern for a while. View A or C. Such a fun give-away. 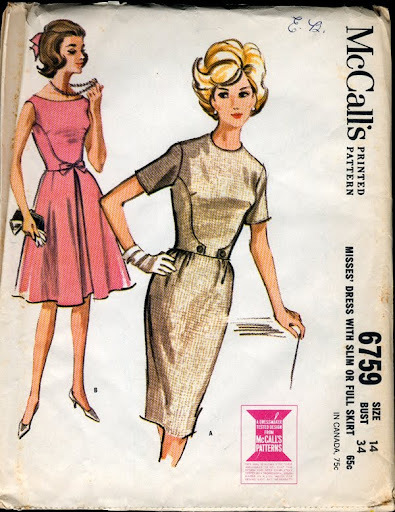 This cute pantdress pattern by Mary Quant has been sitting in my stash waiting for the right fabric. I think this fabric will be perfect for it! I would like to try the Colette Crepe dress with this fabric.